Finding the time to workout can be a challenge. Most of you might know that right now I am doing a 30-Day Day Detox that includes going to CrossFit six days a week. It is a time commitment for sure, that not everyone can do right now. Over the years, I have tried many different forms of exercise from CrossFit, to running, to yoga. Throughout all of them, there are five core exercises that I do all the time, and they are easy to do! 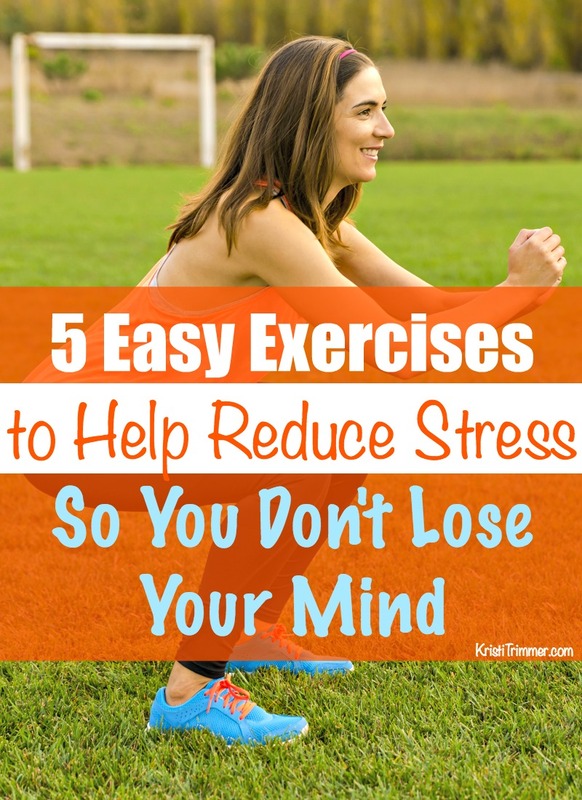 For those of you that need a little kick in the pants, I challenge you to do these five easy exercises to help reduce stress so you don’t lose your mind for just two weeks. Let me know in that comments that you have accepted my challenge! When I’m on the road, I do My YogaWorks, which is unlimited online yoga. Right now I get up at 4:30am and head to CrossFit. Before though, I would get up at 4:30 or 5:00am and spend an hour exercising ending with a 10-minute meditation. On the days I did this, I felt more alert, could do deep thinking work, and was generally less bitchy. On mornings when I woke up late or had little to no time, I would do 10 reps of one of these exercises every time I went to the restroom. At the end of the day, I at least had moved my body and would sleep better. You remember these from gym class! They work the largest muscle group in your body – your legs and glutes. Sit down like you are sitting on a chair with your feet shoulder width apart. Now squat, knees out. Go ahead and do 10 more, I’ll wait. That’s right, stand up on your tippy toes. Do it 10 times. That wasn’t so hard was it? When you are done, flex and extend your toes and roll your ankles around. I like to do calf raises when I’m a bit stressed out as I imagine reaching for my dreams each time I raise up. At first, I didn’t think these would be that hard. When you have stress or tightness in your shoulders, they are perfect to do! Just think of the pain as stress leaving the body. Do 10 small forward arm circles then do 10 backward arm circles. Now swing your arms in large circles, 10 front and 10 back. Now shake your arms out. Don’t you feel better? If you haven’t worked out in a while, try to do a push-up in the proper position, and if you can’t do that, do them on your knees. They hurt, I know. Do them anyways. 10 of them. If you are not at home and don’t want to drop down, use a wall (or even your car) as the floor and push off from there. I like to do these to push out any aggression I might have. After just a week, you will be surprised how much easier these are to do. The dreaded sit-up. I don’t like them either and I still struggle with doing them. Just do 10 of them, k? I cross my arms across my chest and really work my core. After 10 sit-ups, break for a few moments and do 10 more. Each day add in 5-10 more reps. Your abs are one of the muscle groups that can be worked every day. I have a lot of friends doing the 21 Day Fix with amazing results. If you need more structure, and can’t make it to the gym, I’d give it a try. I really need to remind myself that these are simple things I can do in the house and they will help keep me limber and in a good place – mentally and physically. Thanks for the reminder! I’m the world’s worst exerciser but these look quite do-able. I’ll have to keep them in mind for those days when I need to de-stress my life a little! Thanks for this inspiration. There’s just so much on my to-do list, I hate to give too much of it to exercising, which I don’t necessarily enjoy except for how I feel afterwards. But the short, easy ideas I can mix into my day here and there are great! 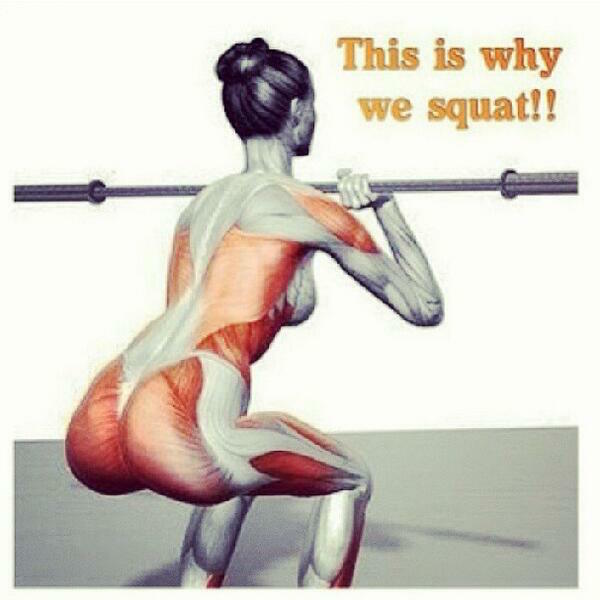 That picture of the squats! . . . So funny. Good ideas. I love doing yoga, but sometimes getting to class is tough and this would be a good alternative for a day I cannot get to class. Thanks for the suggestions. I do need help with exercise. I do yoga once or twice a week (gentle) and try to walk a bit. 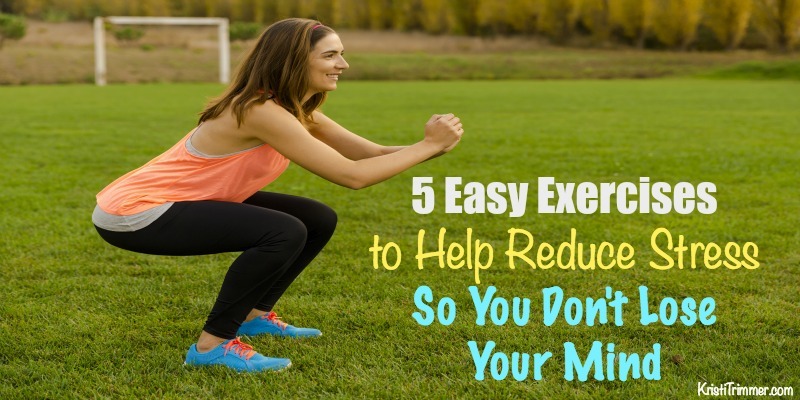 I have Multiple Sclerosis so some exercises are difficult for me. These 5 I can do (with help!) I didn’t realize there was a Cross Fit place to go. Can you tell me more about the detox? Thanks so much and I’m so glad I found your blog from the Women at Midlife group. Love these and that they are all easy to do at home or wherever you are!